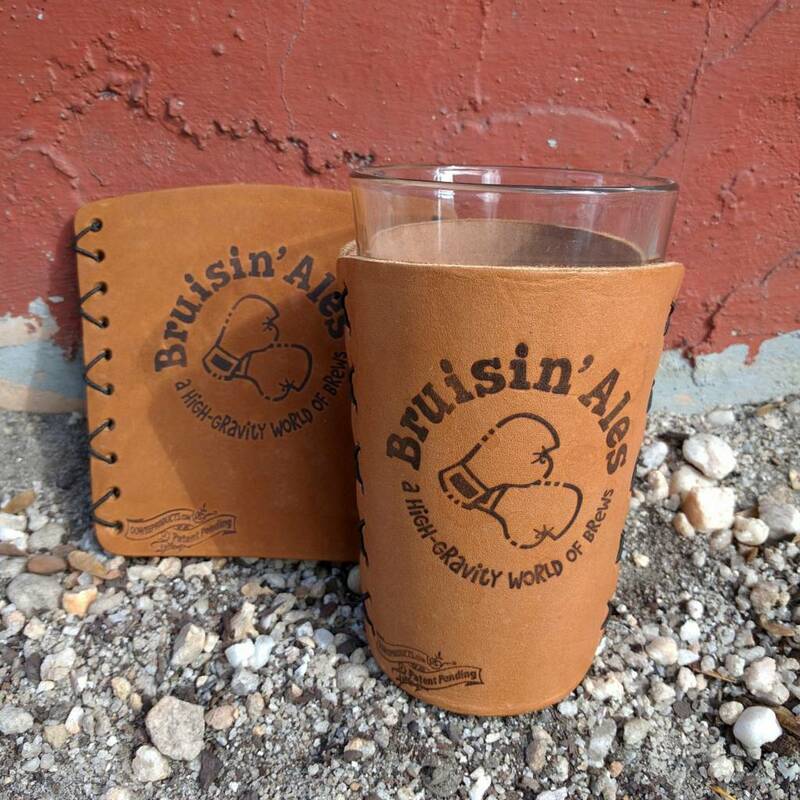 Our upcycled leather pint glass Oowee Koozies are made to fit any standard 16oz pint glass, providing a non-slip grip on your glass without condensation. They fold flat, making them perfect for carrying in your pocket, purse/bag, or storing in a small space. 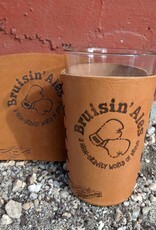 They are carefully crafted from natural leather and hand-stitched up each side. Each product is handmade in the USA in Asheville, NC. Oowee is partnered with the Autism Society of North Carolina and each one of our leather sleeves is hand stitched by an adult on the autism spectrum.